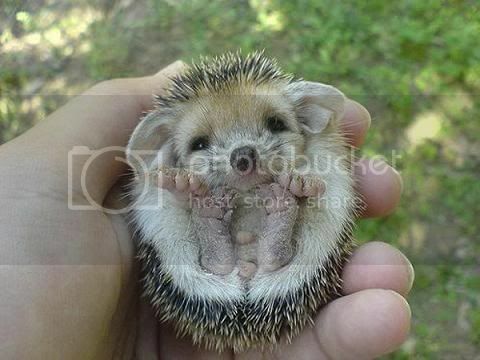 The Hedgehog represents the English spirit - prickly yet charming. We believe that elevating the Hedgehog to the status of National Animal will invigorate the nation and bring good cheer in these difficult times. It also makes far more sense than the Lion, as we don't have any of those here. The HSBC secure key is causing misery for thousands of law abiding citizens trying to get by in life. It is a waste of time that could be spent with family, friends or at work. The deceit that HSBC claim that it increases security is equivalent to saying Saddam Hussein was a just leader. The device breaks down every time it is used. It is a dictatorial system and oppresses the innocent. HSBC do not listen to the people that it serves and by default makes it equivalent to a regime worthy of new leadership. My word reflect the thousands of unheard people who are striving to make ends meat. We the undersigned believe that drivers who find their right of way blocked by cars which have been parked inconsiderately or in a place which can be considered dangerous and/or obstructive by any reasonable person, who, in their attempt to squeeze past such a vehicle, completely accidentally and unpremeditatedly scratch against that vehicle, should be exempt from blame for the incident when it comes to car insurance. Anyone deliberately striking a vehicle shall not have a defence here and should be punished, but any bona fide driver finding themselves blocked by a car parked in an obviously stupid place should not become liable for damage if trying to squeeze past in order to avoid a massive detour or simply being blocked for hours on end, due to another driver's thoughtlessness. In other words, if a driver parks in a dangerous place, any accidental damage to his/her vehicle is his/her own responsibility. we still have oversees territory and a monarchy. we have never stopped being an empire it has only become smaller. Let us take pride in our History and develop ourselves in the united kingdom's of the great British Empire. Make the 10 September 2012 a one-off bank holiday!! To celebrate the best performance by Team GB since the London 1908 games let's aim for a public holiday on the 10 September 2012 to give our golden girls and guys the acclaim they deserve!! Cool animal choice...where do I vote? What's the difference between a hedgehog and a Range Rover? we need the covernment to under stand what we need to do is to save the last and only national cinama in hull what was bomb and to remember all people who lost there lift's there"
I'm all for remembering the lifts of the people from Hull, but could we also donate a few capital letters, as well as a lesson or two on proper use of English? I have no objection to the hedgehog becoming our national symbol (Canada has the loon, for God's sake) but I had no idea that it is currently the lion (as suggested by that first petition). Is that correct, or is it just a myth perpetuated by the 'three lions' on an England football shirt? Yeah, it's a lion. **** knows why... I could understand a dragon, but a lion? According to http://en.wikipedia.org/wiki/List_of_national_animals we have an embarrassment of national animals.... and Scotland mythical creatures.... and lions.